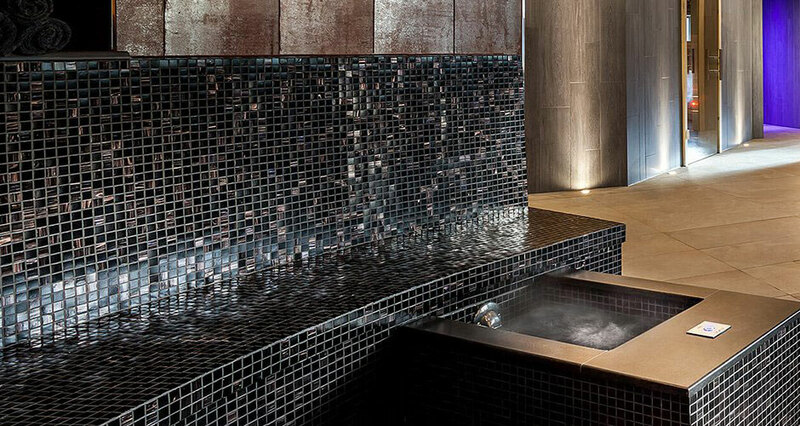 The soothing sensation of our bespoke foot spas inside a luxurious and tranquil relaxation room is hard to beat. 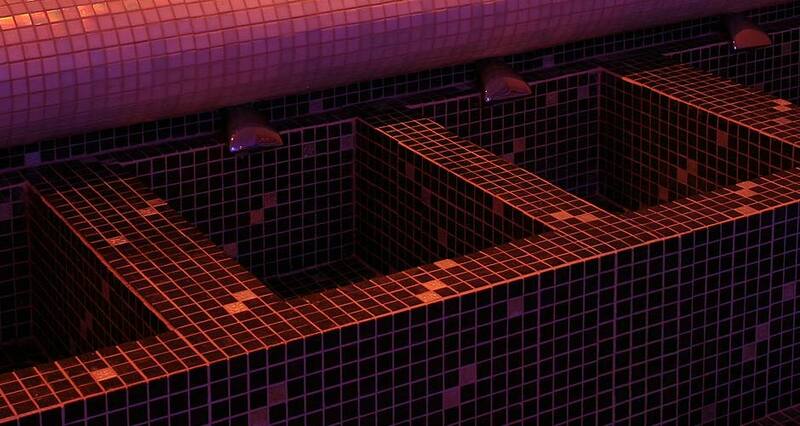 Our luxury tiled foot baths offer commercial wellness spas a whole host of benefits. They can relieve numerous aches and pains, reduce muscle tension and revitalise tired feet. 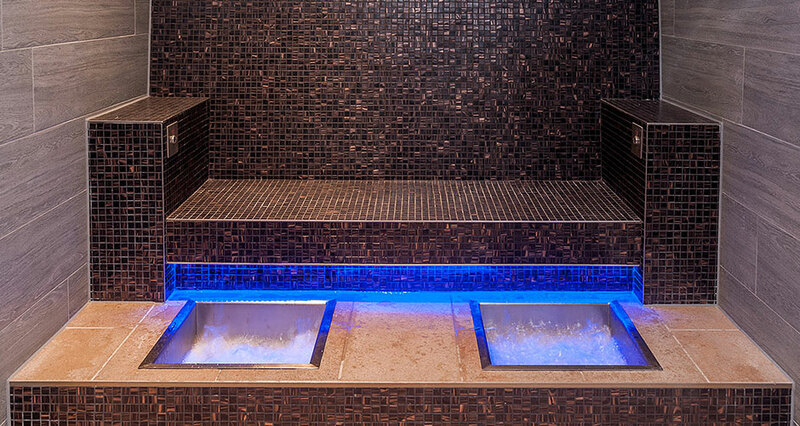 All our bespoke tiled foot spas provide cold and hot options for the feet as part of a total reflexology treatment. Foot-wells are automatically filled with bubbling water at the appropriate temperature. 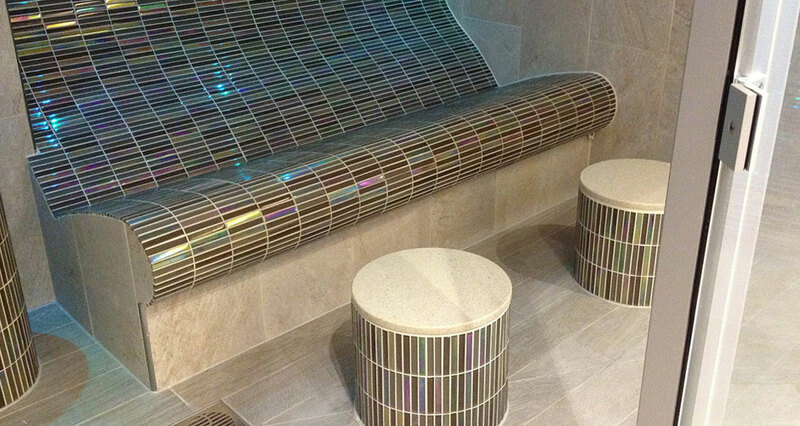 The interior of the foot spa treatment room is completely tiled. 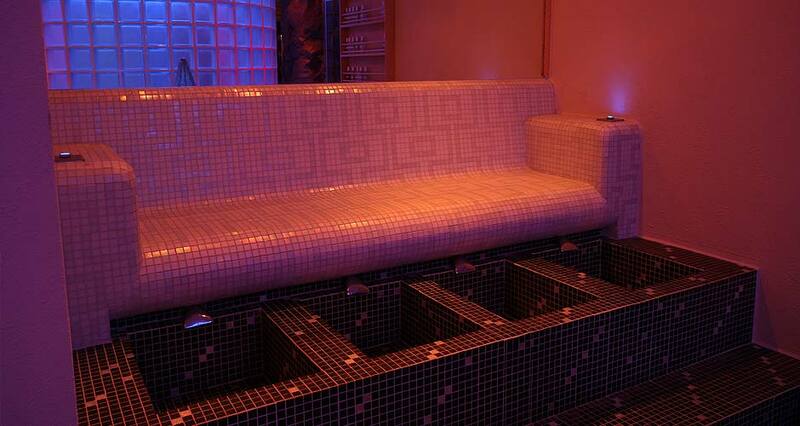 Additionally, the seating can be internally heated for enhance comfort and to relax the user their session. 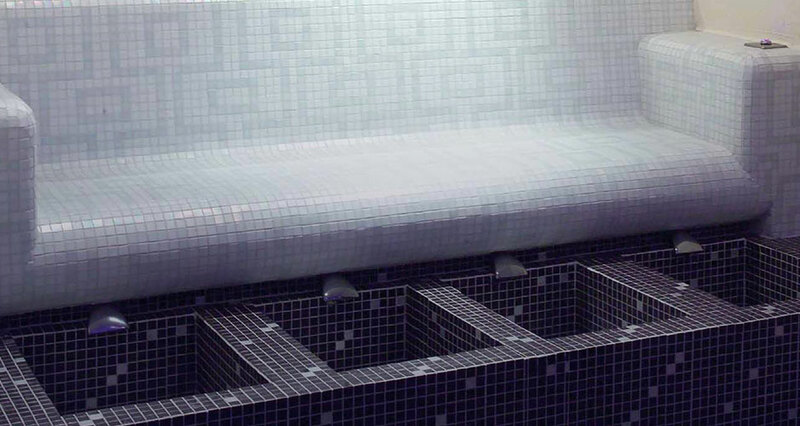 Our tiled commercial foot spas can be designed from concept drawing right through to finished installation in any commercial leisure setting. Comfort is the number one priority when providing wellness treatments such as a foot spa. 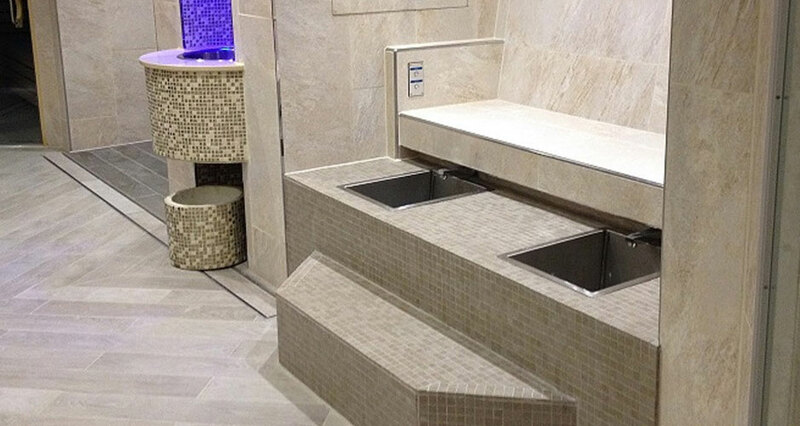 Our bespoke tiled foot spas can have an internal heating system built into the seating. This ensures your clients are warm and relaxed during their treatment session. Choose from an extensive range of tiling styles, colours and finishes. 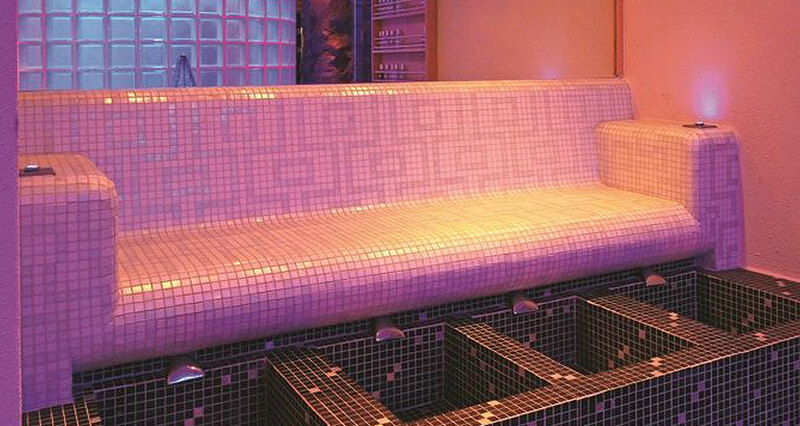 Our bespoke foot spas use bisazza tiling to ensure stunning looks, ergonomic designs and durability. They are also easy to keep clean and need very little maintenance. 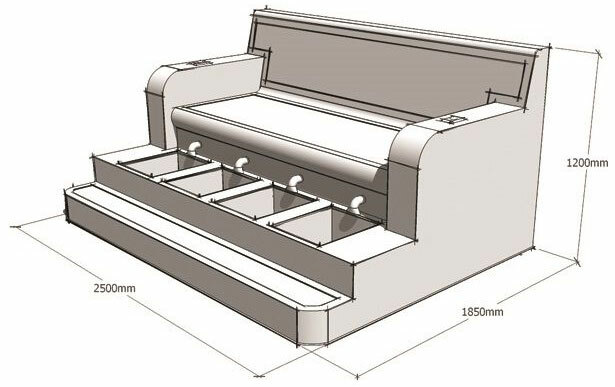 Built into your commercial foot spa will be a range of automated equipment. The foot wells come complete with an automated timed empty and fill treatment programme. Additionally, they can also be flushed at the end of a session.